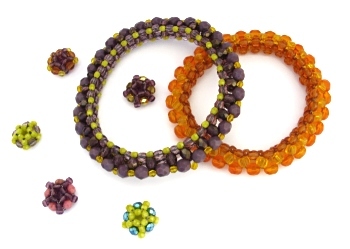 Learn how to create an embellished bangle and beaded bead set. 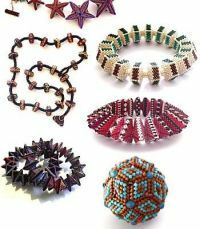 This complete 13-page step-by-step tutorial contains all the instructions, diagrams and photos you will need to learn how to make the bangle base and embellish it. 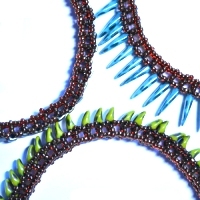 The matching beaded bead is ideal for threading onto neck wires or even "Pandora" or "Troll" chains or even incorporating into other bead, wirework, chain maille or strung jewellery.